Extrasensory perception, also referred to as the sixth sense, is the ability to perceive information without using the five physical senses. There are several types of ESP known to exist such as precognition, clairvoyance, telepathy, and clairaudience. Precognition – The ability to see into the future. Retrocognition – The ability to see into the distant past. Clairvoyance – The ability to see events without being physically present. Mediumship – The ability to communicate with spiritual world and talk to the deceased. Clairsentience – The ability to feel the emotions of others. Clairaudience – The ability to receive messages and information through “psychic hearing”. Telepathy – The ability to read the minds of others and know what they’re thinking. Clairalience – The ability to get psychic impressions from the sense of smell. Clairgustance – The paranormal ability to taste a substance without putting it in mouth. 2 What To Do If You Suspect You have Extrasensory Perception? Precognition refers to the ability to see the future. Though the scientific community generally rejects precognition because of the lack of demonstration, many scientific explanations are available to explain it. Experiments conducted by the Parapsychology Laboratory at Duke University show the human mind has a habit along with the ability to subconsciously predict an outcome of events by judging current circumstances. Such predictions, if they later become true, are then related to precognition. Nostradamus is one of the most famous people known for his predictions, as he has reportedly predicted several events throughout history that occurred long after his death. Precognitive Dreams – What Do They Mean? Retrocognition refers to the ability to see in the distant past. It can be as simple as recognizing a place, or a person, or somehow knowing what happened in a certain situation one had nothing to do with at the time it took place. When someone experiences déjà vu, it could be a simple instance of retrocognition. Someone who has retrocognition abilities could possibly to you in the present about what it was like to be a passenger on the Titanic when it sank in 1912. 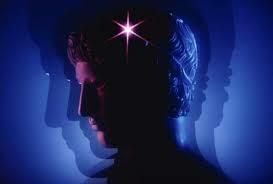 Telepathy refers to the ability to read and other persons thoughts. Telepathy allows a person to communicate with one or more people using their mind and no other sensory input. If you’ve ever become so close to someone you can tell what they’re thinking, you may not be a telepath, but you can understand the idea behind this particular type of ESP. Clairvoyance refers to the ability to see objects or events that are happening to someone else. Similar to telepathy, clairvoyance refers to the ability to gain knowledge about a person, event, or thing without sensory input. Though typically thought to be strongest during meditation, many psychics can get information about the past, present, and future in a variety of environments. Clairaudience refers the ability to hear objects or events that are happening to someone else, without any other additional sensory information. Like clairvoyance, clairaudience is thought to be strongest during meditation, however many clairaudients can obtain information in a variety of environments. Clairsentience refers to the ability to perceive a feeling throughout the whole body, without any stimulation related to the feeling or information. Some people with this ability may also be considered clairempaths as they can physically tune into other peoples, places, or animals’ emotional experiences. This is considered a type of telepathy that allows emotions to be felt. This comes from one’s ability to tune into the vibration and feel the aura. Mediumship refers to the ability to communicate with the dead by channeling their spirits. Most mediums use a variety of types of ESP, including clairvoyance and clairaudience to obtain their information. A secondary form of ESP, clairalience refers to the psychic ability to smell. While all humans have the ability to smell, this type of ESP refers to aromas that are not detected by everyone else. It is thought that these aromas are projected by spirits. Another secondary form of ESP, clairgustance refers to the ability to taste. While all humans have the ability to taste, this type of ESP refers to the ability to taste without putting anything in the mouth. It is thought that those who have this ability can perceive the essence of a particular substance from the spiritual realms through taste. 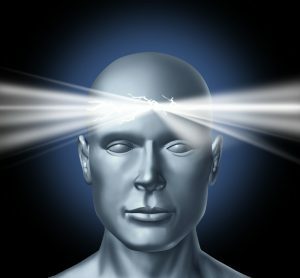 What To Do If You Suspect You have Extrasensory Perception? It is thought that everyone has the ability to use ESP in some shape or form because we can all pick up on various energies that exist. For many of us, however, we are unaware of how to develop those psychic powers. There are are many ways to develop and improve your psychic abilities, but you must be willing to practice, and believe it can be done. Testing is available for many of the most common ESP abilities, if you suspect your abilities go beyond predicting the next song on the radio. In the meantime, you can reach out to psychics online to help you discover more about your past, present, or your future. Though psychics will not simply tell you what’s going to happen in your future, they can provide the guidance you need to get you to place where you will be happy in the future.